Escape the anxieties of a fast-paced life in our saltwater swimming pool. 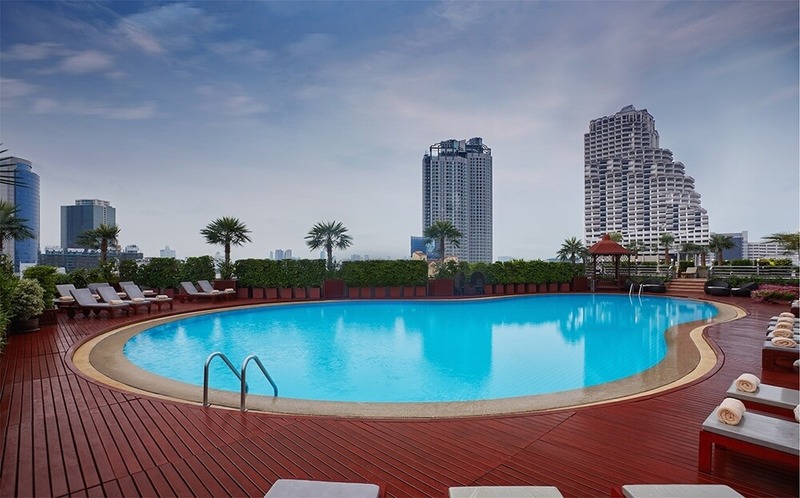 Built into a newly renovated sundeck, the pool features with serene views of the Bangkok skyline. It’s the perfect place to unwind after a day of meeting with clients, brokering deals or exploring the sights of Silom. The pool opens early at 6:00 am., leaving plenty of time for early rising lap-swimmers to make the most of its impressive, 25-metre length. Drinking water, freshly laundered towels and shower facilities are also available.